Everyone likes to be appreciated. Make sure you give your spouse compliments EVERY DAY. It’s amazing how resilient relationships are when spouses feel appreciated. They can weather most storms together if they feel that their partners really appreciate who they are. Staying in love requires skills that many people don’t have. The good news is that there are marriage education classes. Take them together and learn to stay in love. In most marriage seminars, you don’t have to talk about your personal problems in public. It’s a class, not therapy. You can learn everything you need to know about making marriage work. So, if you’re having problems, don’t wait for them to fester, learn how to resolve problems and build connection. And then remember, practice makes perfect. All couples have conflict. It’s how you handle it that makes or breaks the relationship. The goal is for both people to really make an effort to understand and develop empathy for your partner’s views. Feeling understood is incredibly important to most people. Many arguments escalate because both partners feel misunderstood and unvalidated. If you can’t talk about things without fighting, get some coaching. It works! Every marriage has good things about it and not so good things. In many marriages, people focus more on what’s wrong rather than on what’s right. That’s wrong. It leads to contempt, defensiveness and distance. Even if you’re unhappy, the best way to get your spouse to be more responsive to your needs is to compliment him or her when s/he is hitting the mark rather than criticizing when things aren’t going well. Remember, what you focus on expands. People tend to show love in the way they like to receive love. But that’s not really giving. Real giving is when you give to your partner the things your partner wants and needs whether you understand it or not! For example, if you like to be asked, “What’s wrong,?” when you are down in the dumps, you might think that your spouse likes it when you ask that question when s/he is upset. But you might be married to someone who likes to be left alone to sort things out when s/he is down in the dumps. So, in that case, giving your spouse space to reflect- even if you feel the urge to ask, “What’s wrong,?” is an example of real giving. If you’re someone whose spouse likes alone time to sort things out, but you’re a “talker,” it might feel unnatural to be silent when you see your spouse hurting. I tell couples that you know you are doing real giving when your actions feel unnatural or when it’s challenging. That’s because you are caring for your partner’s needs, not your own and that often requires personal stretching! Do real giving and you’ll be surprised how much more giving your spouse will be in return. 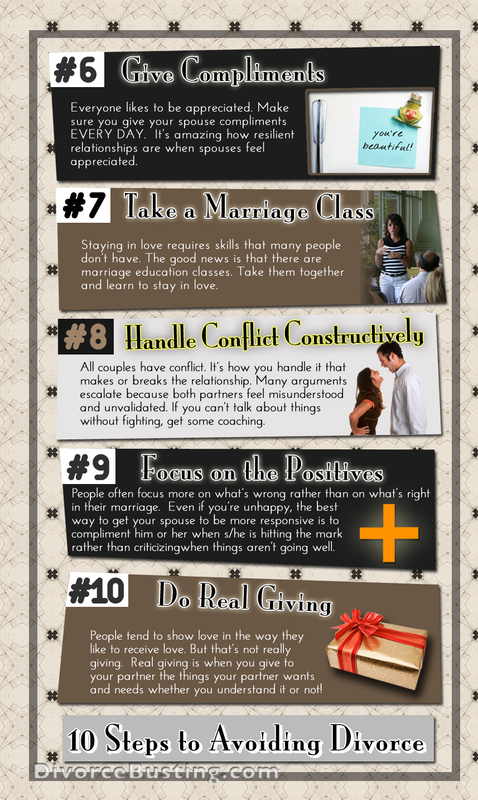 This is wonderful I really learned some things to make my marriage of 14 years even more successful!